The chief technology officer of global retailer and technology giant Amazon has scheduled in a trip to Australia in mid-July to spruik the company’s cloud computing offerings, as interest in the burgeoning field of online cloud platforms continues to boom. 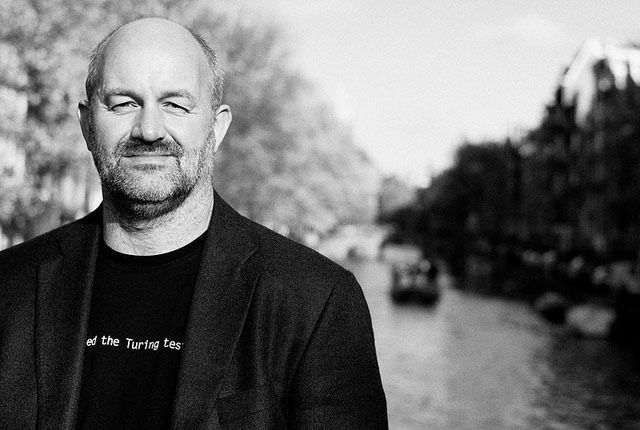 The company is currently heavily advertising a series of events across Sydney and Melbourne in mid-July, which will feature as their keynote speaker Amazon CTO Dr Werner Vogels (pictured above), who has played a key role at Amazon over the past decade and is one of the company’s most senior executives. Vogels will be flanked by the company’s Singapore-based Asia-Pacific managing director of its Amazon Web Services cloud division, as well as several other executives. Amazon is also promising several Australian customer presentations at the event, which will also feature a cocktail reception. “Whether you are new to the cloud or looking for more knowledge to take your business to the next level, this event will provide the information to successfully navigate the cloud,” the company’s promotional site states. “Highlights of the event include a special opening keynote by chief technology officer of Amazon, Dr Werner Vogels, who will share his perspectives on the current state of the cloud, the changes that Amazon is driving to help companies leverage the Cloud to drive higher efficiency and business growth. The event marks one of the first occasions over the past several years where Amazon executives have spoken publicly in Australia with respect to local usage of their growing cloud computing platform. Amazon Web Services is popular amongst Australian startups, who see the storage and hosting platform as a reliable and inexpensive building block to aid them in building new online systems which may be required to scale up dramatically as customer usage expands rapidly. Amazon is not known to employ any Australia-based staff to support its platform, and like other cloud computing giants Google, Salesforce.com and Microsoft, does not maintain an Australia-based datacentre to support staff. For these and a number of other reasons, large Australian companies and government organisations have so far tended to prefer dedicated Australia-based hosting instead of using the public cloud-type platform offered by Amazon and its rivals. Amazon’s visit Down Under comes, however, as the trend against global cloud giants building Australia-based datacentres shows some signs of shifting. If you want to host in the USA there are heaps of good options, very high bandwidth, very good price. Amazon is one of those options. If you don’t mind an extra 200 milliseconds round trip latency, then virtual servers are easily within the means of most Australians… even shoestring startup businesses. If you want to host in Australia, get ready to pay a whole lot extra. Bandwidth limits, high price of electricity, high price of real estate, and high priced data centers. My experience of hosting in the US is not great; I just find the latency means Australians accessing the content are just that much slower to get to it. Since Delimiter’s hosting was shifted to Australian servers, it has become much faster to read and edit the site, and our FTP access is also lightning quick. I haven’t found that with the US web hosts I have used in the past.